Last weekend, we attended our final fiber festival of 2014, SAFF - many thanks to everyone who came out to our many events this year! We'll be announcing our 2015 schedule shortly, so be sure to sign up for our newsletter or follow us on your social media channel of choice via the links on the right. We've also got plenty of exciting things planned for the remaining months of 2014 that you won't want to miss! The Scarlet Letterman Jacket by Megan-Anne Llama is an updated version of the 1950's letterman cardigan. It's knit in two of our Outlandish colorways of Himalayan Trail yarn, Dun Bonnet and Jacobite; click here for more details on the Ravelry pattern page. 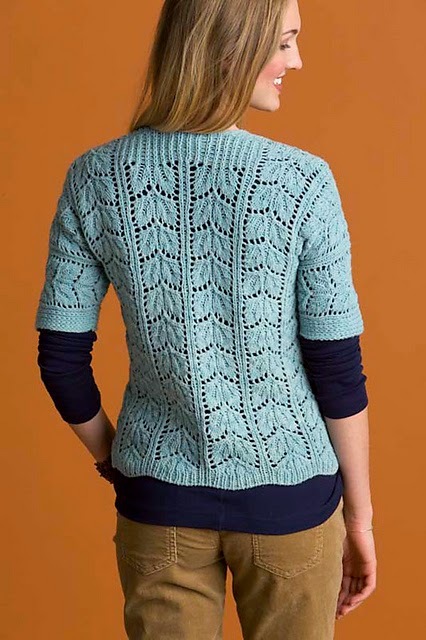 The Enchanted Cardigan appears in Kirsten TenDyke's new book, No-Sew Knits: 20 Flattering Finish-Free Garments. 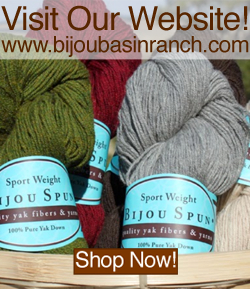 It features a unique constructions allowing the sweater to be easily worked flat in one piece, and it's knit in Bijou Bliss, our yak and cormo blend yarn. Click here for more details on the Ravelry pattern page. 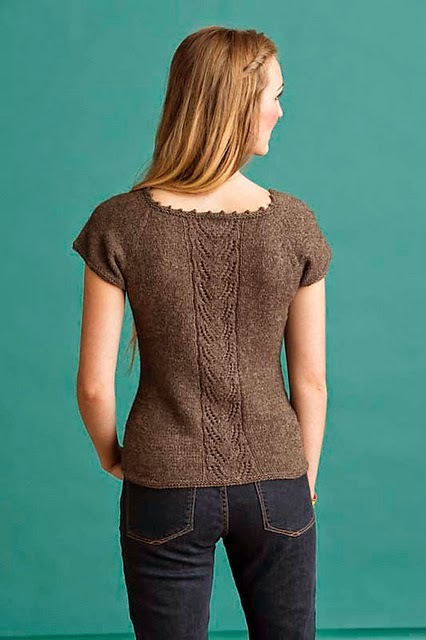 The Sensible Cardigan by Kirsten TenDyke is also from No-Sew Knits, and it features pretty details such as a lace panel flowing down the back and picot edging. 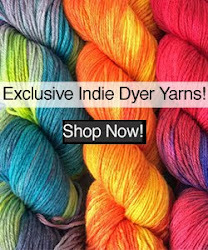 It's knit from the top down (making it easy to try on as you go and customize as needed) and uses Himalayan Trail, our yak and merino blend yarn. Click here for more details on the Ravelry project page.